The chief interest of Pope Nicholas V (1447-55) in the arts was the embellishment of the Vatican and rebuilding St Peter's Basilica*. 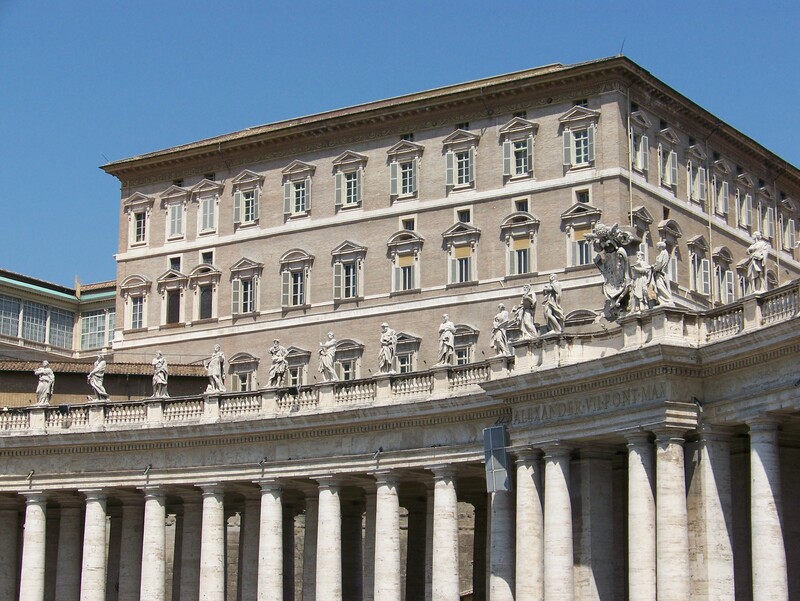 He pulled down part of the ancient basilica, made alterations to the Lateran Palace, and laid up 2,522 cartloads of marble from the Roman Colosseum for use in later constructions. 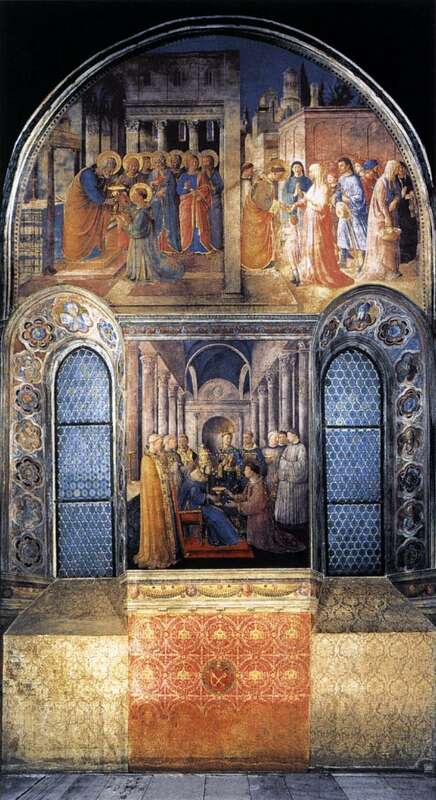 Fra Angelico was enlisted to paint the pope's private chapel. 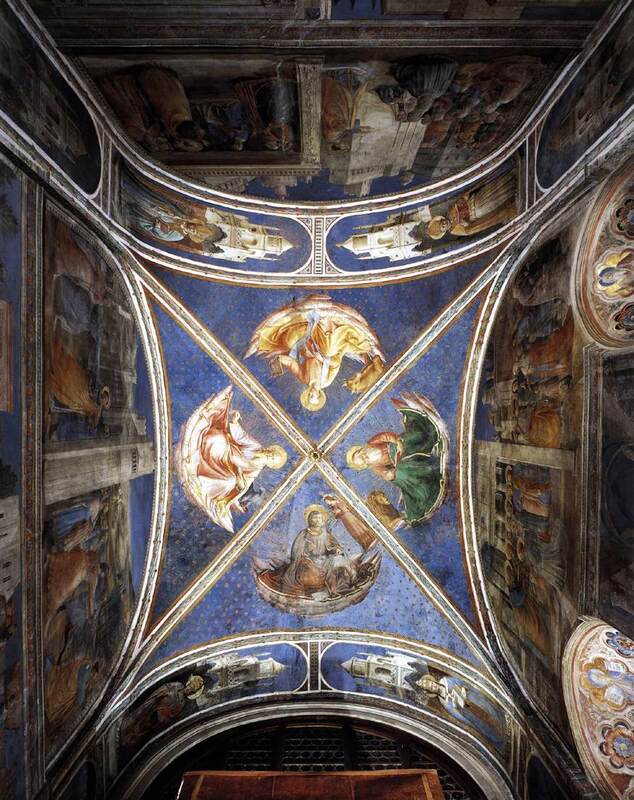 The Cappella Niccolina is on the second floor of the Palazzo Vaticano (now part of the Vatican Museums). 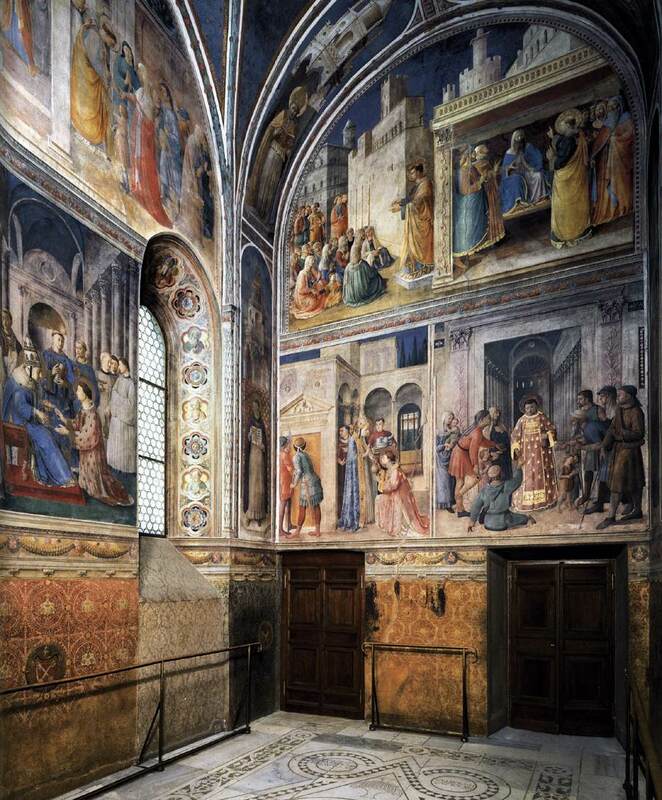 Three walls are covered with frescoes representing scenes from the lives of St Stephen and St Lawrence, two widely venerated archdeacons. The fresco on the altar wall (the south wall) had been destroyed. According to Vasari, this wall was adorned by Fra Angelico with an Entombment of Christ. 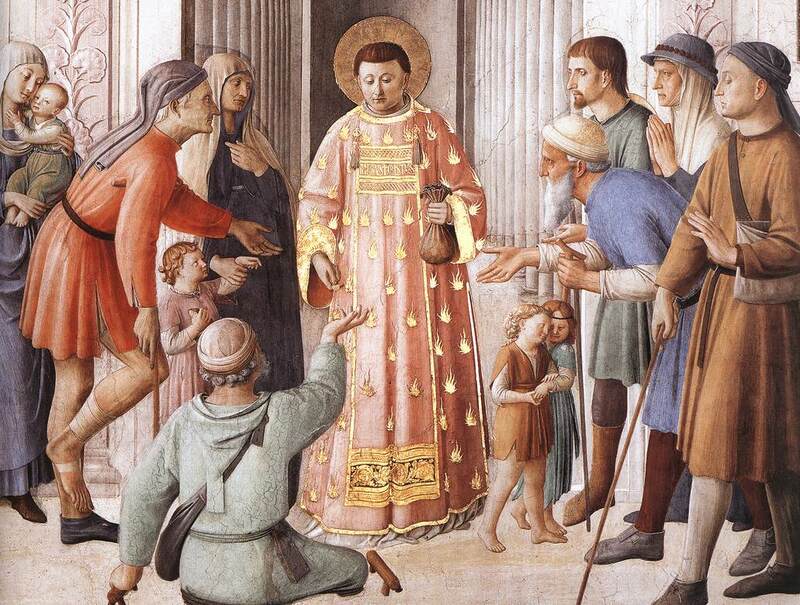 Fra Angelico was able to accomplish this considerable amount of work with the assistance of a large workshop. 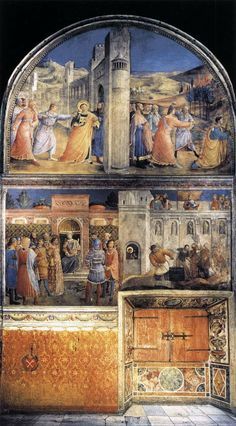 The scenes from the life of St Lawrence were largely the work of Fra Angelico, while there was a greater contribution of the workshop in the execution of the scenes in the lunettes and other images. The paintings are markedly different in emphasis from those of Angelico's in the San Marco. The purpose of these Roman frescoes was narrative, and to assist in the telling of his story Angelico used a richness of detail, a number of figures and more color than his earlier work. It was said that tears would stream down his face when Fra Angelico painted a crucifix. Although he embraced the new art of the Renaissance his heart remained in the Middle Ages.